Are you a Youngster? Confused what is Free Lancing? How People are earning from home? Is that scam or some joke? Need a Part time job? Looking for Online Earnings in leaps and bounds? The life gets change! The technology has been changed. Have you heard the term freelancing? Are you confused about what is free lancing? Or what freelancers do? This post will demonstrate you about freelancing and online outsourcing work that has been running by small and mid scale businesses in all over the world. Freelancers are those people who do not works for long term agreement e.g. an Employee of some company like Google, Microsoft, Apple etc. Freelancers are that person who works independently and individually for some short terms agreement e.g. A house wife who is working online from home like a database entry operator or classified ad poster. 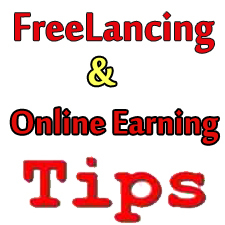 Freelancing is one of the best ways of making money while you are free at home. Dictionary meaning of Freelancing is to work for multiple companies. Freelancer is a person who is self-employed, work for a limited period for a particular company and earn money by working anytime and from anywhere. Freelancers charge according to their convenience of work and the time that is needed to complete that work. Freelancers may charge by the number of days, hours worked or on the basis of projects or works completed. how the freelancers get online work? But this freelancing work is not limited after many of the companies like Freelancer.com, Elance.com, guru.com etc have started online outsourcing and opportunities for small businesses as well for those who are not interested for long term agreements in the companies. These websites or say outsourcing companies giving a source for freelancers to earn money online. Now the online projects and online outsourcing work has been a trademark for all the web and software businesses. There are reputed freelance sites where a user can register, updates his/her information and creates profile for his/her area of interest. Business person/employers introduce their Projects on these sites and based on the Job type earners bid for the projects. Employers takes an overview of your profile, past experiences, projects done as a freelancer, rating and feedback and based on these factors he assigns the project to a particular employee and decides the amount to be paid for the project. Most of the freelancing sites offer free membership as well as paid membership. To buy more trust on employees it is always suggested to opt for paid membership. Nice information. Odesk you missed .